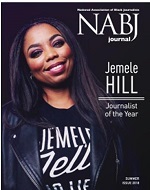 Statement from NABJ on the cancellation of NPR's "Tell Me More"
The National Association of Black Journalists (NABJ) adds its voice to the chorus of voices expressing their disappointment with the cancellation of NPR's news-talk program "Tell Me More." "For nearly eight years the "Tell Me More" program has sought to discuss the most important news of the day with unique viewpoints and diverse voices. The program stood out with its willingness to be bold and creative. 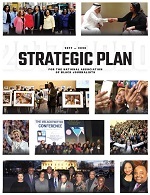 We applaud host Michel Martin and her team for their efforts to be intelligent, engaging, compelling, and inclusive. We are however heartened by the fact that Michel Martin will remain with NPR and endeavor to continue the work her team has started in new ways. NPR itself noted that the decision to discontinue production of the program was very much a business decision. We implore NPR and other media organizations to continue to view multiculturalism and globalism as important catalysts for program which reflects and appeals to diverse audiences. As evidenced by NPR's recent Peabody Award for "The Race Card Project" reporting about race, ethnicity, and any of the core cultural identifiers resonates with audiences and allows new opportunities for engagement. We hope that NPR's larger commitment to engaging diverse audiences with its new cross platform initiative with Michel Martin and the team NPR establishes is successful and continues to exemplify what are in many ways best practices for our industry."